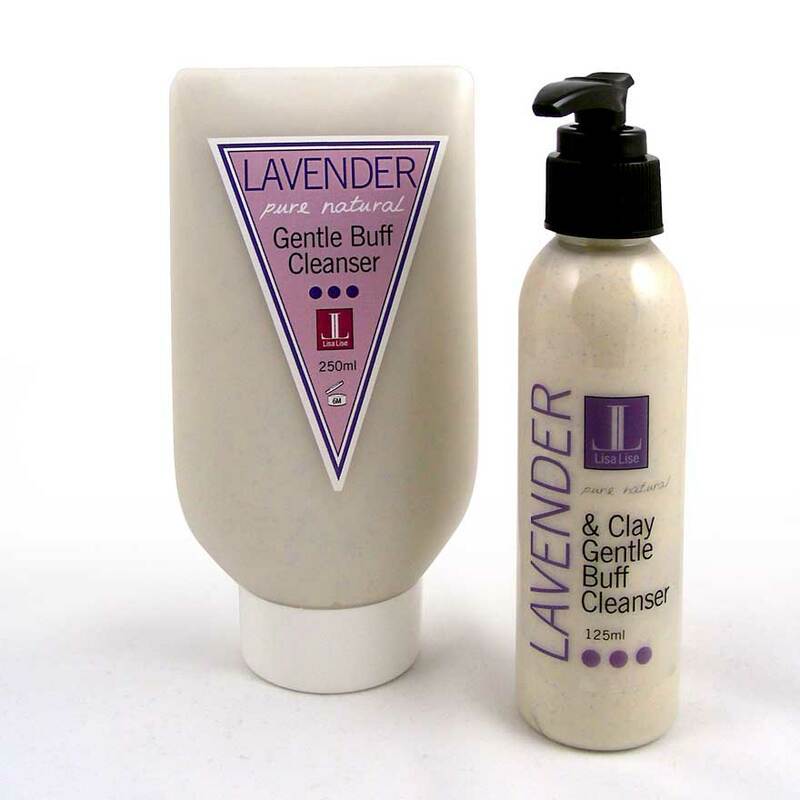 Lavender (and White Clay) Gentle Buff Cleanser has been a staple in my skin care regimen for years now. I use it every morning and go through a 125ml bottle fairly quickly. It's been bugging me for a while that the pump bottle I've been using (for ages) isn't really the ideal container for this particular product. The bottle looks good and functions well – until you get near the bottom. Then it becomes a bit of a battle getting the final bit of product out. The viscosity of this cleanser is light – like a lotion, but stiff(ish) – like a cream. It will migrate beautifully towards the bottom of any container, but just isn't thrilled about being forced up through a pump when there's only a little bit left. In short, the texture begs to be 'tubed'. Thanks to my 'tube supplier' for expanding their selection to include a super-size 250ml. Just to try out a new look, I have made a super-hero-type label for it. I know! I know! The new bottle doesn't list the CLAY! I'm not sure if it's just seeing the picture on my phone's screen, but to me it looks like it says 'pure ratural' instead of 'natural' on the tube. Is that the fault?! nope, your phone is 'teasing you' it says natural. This is getting interesting.. maybe I should offer a prize for whoever finds it? Isn't it spelled "lavendEr" rather than lavendAr"? Yes!! Tara wins the grand prize! You shall hereafter be known as Supreme Eagle Eye. Isn't it so, that one never notices typos in headlines? So true – also apparantly with labels. I can console myself with the fact that nobody noticed this before. I'm embarassed to say how many years I have been misspelling my own labels.